Why Pursue a Career in Biomedical and Health Informatics? There are an ever-growing number of career opportunities for those who enjoy working with data, information, and knowledge to improve the health of individuals and the population in the field of biomedical and health informatics. This field develops solutions to improve the health of individuals, the delivery of healthcare, and advancing of research in health-related areas. Jobs in informatics are highly diverse, running the spectrum of the highly technical to those that are very interpersonal. All are driven, however, by the goal of using data, information, and knowledge to improve all aspects of human health [1, 2]. Another emerging new discipline that has substantial overlap with informatics is data science (or data analytics in its more applied form). 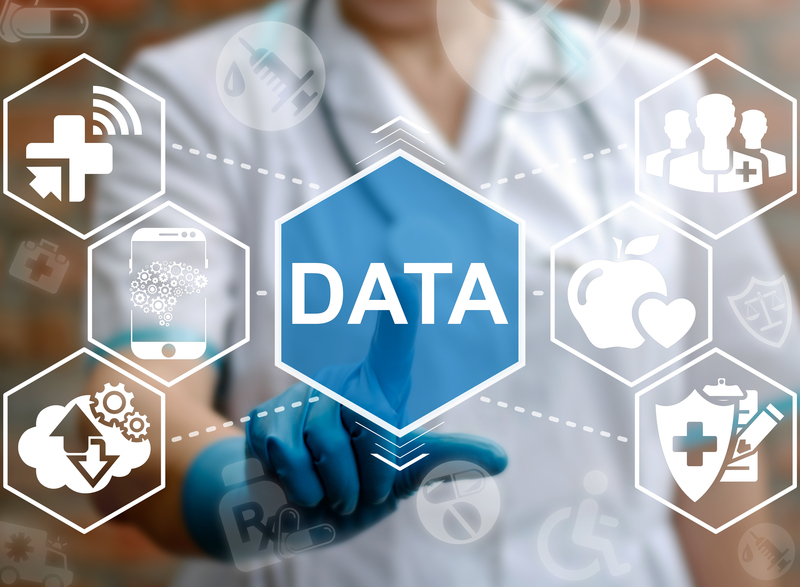 The growth in use of electronic health records, gene sequencing, and new modalities of imaging, combined with advances in machine learning, natural language understanding, and other areas of artificial intelligence provide a wealth of data and tools for use to improve health. But informatics is not just about processing the data; the range of activity includes insuring the usability of systems for entering and working with high-quality data to applying the results of data analysis to improve the health of individuals and the population as well as the safety and quality of healthcare delivery. The variety of jobs in biomedical and health informatics means that there is a diversity in the education of those holding the jobs. Informatics has a body of knowledge and a way of thinking that advance the field. It is also an interdisciplinary field, existing at the interface of a number of other disciplines. For this reason, education has historically been at the graduate level, where individuals combine their initial education in one of the core disciplines (e.g., health or life sciences, computing or information sciences, etc.) with others as well as the core of informatics. An example of such a program is ours at Oregon Health & Science University (OHSU). A variety of data show that professionals from this discipline are in high demand. Job sites such as Monster.com show a wide variety of well-paying jobs. A previous analysis of online job postings found 226,356 positions advertised . More recently, a survey of healthcare IT leaders shows continued demand for professionals in this area . For physicians working in the field, there is now a new medical subspecialty . The nursing profession has had a specialization in nursing informatics for over a decade, and we are likely to see more certifications, for example the American Medical Informatics Association (AMIA) developing an Advanced Health Informatics Certification that will apply to all informatics professionals, not just those who are physicians and nurses. Does one need to be a clinician to be trained and effective in a job in clinical informatics? Must one know computer programming to work in any area of informatics? The answers are no and no. Informatics is a very heterogeneous field, and there are opportunities for individuals from all types of backgrounds. One thing that is clear, however, is that the type of informatics job you assume will be somewhat dependent on your background. Those with healthcare backgrounds, particularly medicine or nursing, are likely to draw on that expertise for their informatics work in roles such as a Chief Medical or Nursing Informatics Officer. Those with other backgrounds still have plenty of opportunities in the field, with a wide variety of jobs and careers that are available. Informatics is a career for the 21st century. There are a wide variety of jobs for people with diverse backgrounds, interests, and talents, all of whom can serve the health of society through effective use of information and associated technologies. 1. Hersh, W (2009). A stimulus to define informatics and health information technology. BMC Medical Informatics &amp; Decision Making. 9: 24. http://www.biomedcentral.com/1472-6947/9/24/. 2. Hersh, W and Ehrenfeld, J (2017). Clinical Informatics. In Health Systems Science. S. Skochelak, R. Hawkins, L. Lawson et al. New York, NY, Elsevier: 105-116. 3. Schwartz, A, Magoulas, R, et al. (2013). Tracking labor demand with online job postings: the case of health IT workers and the HITECH Act. Industrial Relations: A Journal of Economy and Society. 52: 941–968. 4. Anonymous (2017). 2017 HIMSS Leadership and Workforce Survey. Chicago, IL, Healthcare Information Management Systems Society. http://www.himss.org/library/2017-himss-leadership-and-workforce-survey. 5. Detmer, DE and Shortliffe, EH (2014). Clinical informatics: prospects for a new medical subspecialty. Journal of the American Medical Association. 311: 2067-2068.